Once per turn, you may pay to double Iceman's attack. Global: Pay to spin any number of your Sidekick dice to their side (if active, move them to your reserve pool). You can use an ability or action to add to Iceman: Too Cool for Words's attack before paying a to double his attack. Once you double his attack, new bonuses after that point wouldn't be doubled as well. Ice Man's global ability can be used on sidekick dice in the Reserve Pool as well as in your Field Zone. 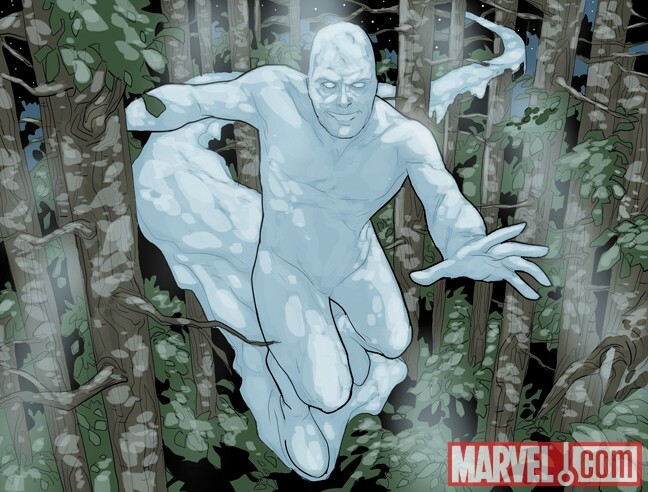 ^ Ice Man - Too Cool for Words + Sidekicks in the reserve. Wizkids Rules Forum. Retrieved 7-28-2015.